I’ve been making a lot of soups lately. 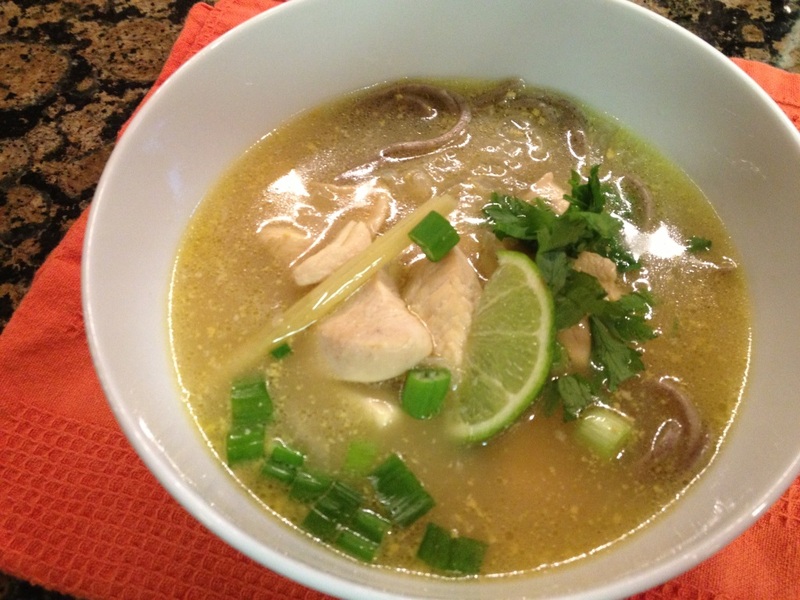 Soups are a great way to fill up without too many calories. They can be prepared fast, using simple ingredients you have in your fridge/pantry. Soups make perfect lunch. Add some salad and/or bread, and you have dinner in under 20 minutes! I will be sharing my recipes for light clam chowder, beef enchilada soup, broccoli cheese soup, borsch, and cabbage soup soon! This soup had been on my to-try list for a long time. The only hold up was finding some lemongrass. I didn’t feel like driving to an Asian market for it. But it turned out my local grocery store carries it in their produce section. So I grabbed some and got cooking. 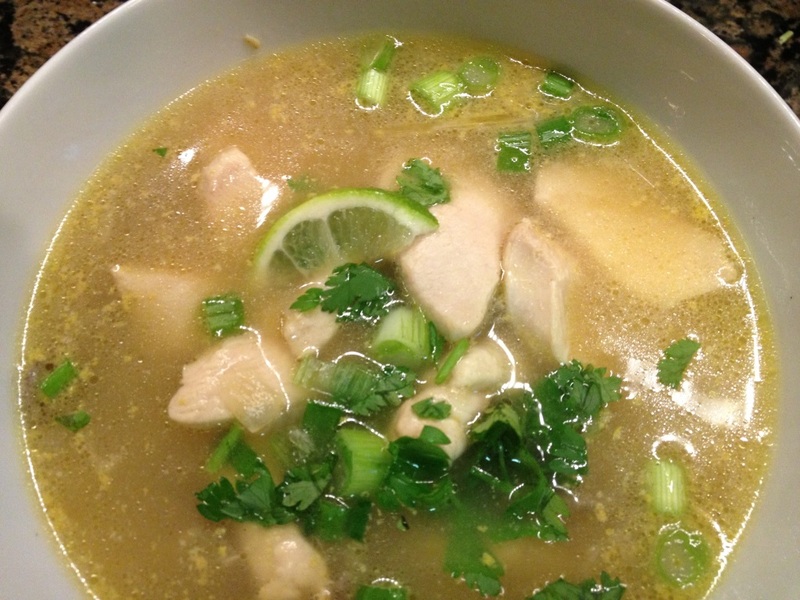 This soup has a perfect blend of subtle lemongrass flavor and coconut. If you like Thai food, you will enjoy this. 1. Heat a medium saucepan over medium-high heat. Add the oil and swirl to coat the pan. 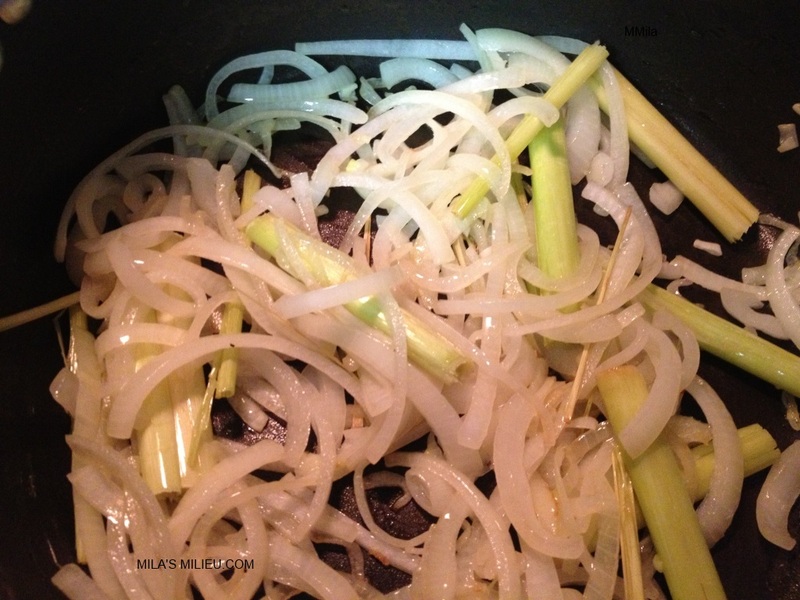 Add the lemongrass, stir, and sweat it, uncovered, for 2 minutes. Add the onions and chiles if using (I skipped the chiles), and saute, stirring, for 1 minute. 2. 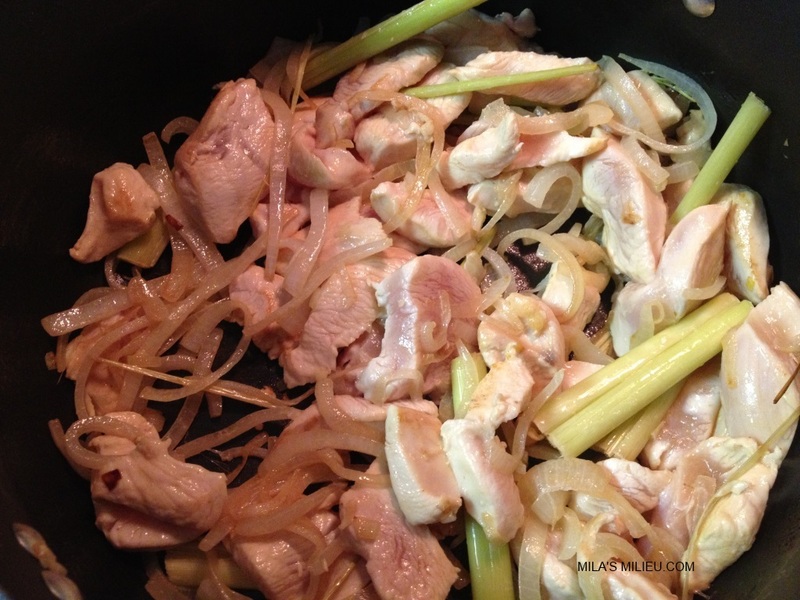 Add the chicken and saute until opaque, about 2 minutes. 3. Add the fish sauce and broth, stir, and bring to a simmer. Simmer for 15-20 minutes. 4. Whisk in the coconut milk and lime juice. Season with salt and pepper. Garnish with cilantro and scallions, and serve.